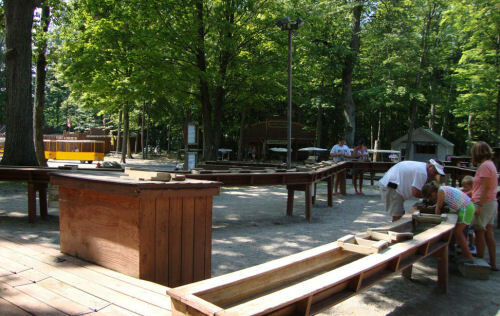 Gem Mining at Put in Bay is easy. Get a bag of rough mix at Perry's Cave gift shop, and start sifting. Water will push the sand through the grates, and if you are lucky you may found a great treasure. Bags cost from $4-9, and a great time will be expereinced from 10 minutes to an hour of sifting through the mixture. Check out this Put in Bay fun spot!